I had the opportunity to work on one of these recently, thought I’d post a few observations. The transmitter itself comes in three parts, the FM100 which serves as the exciter and driver, the PA2000, which holds the RF amplifiers and combiner and the PS2000 with supplies the DC voltages to run the PA.
That configuration has some advantages and disadvantages. 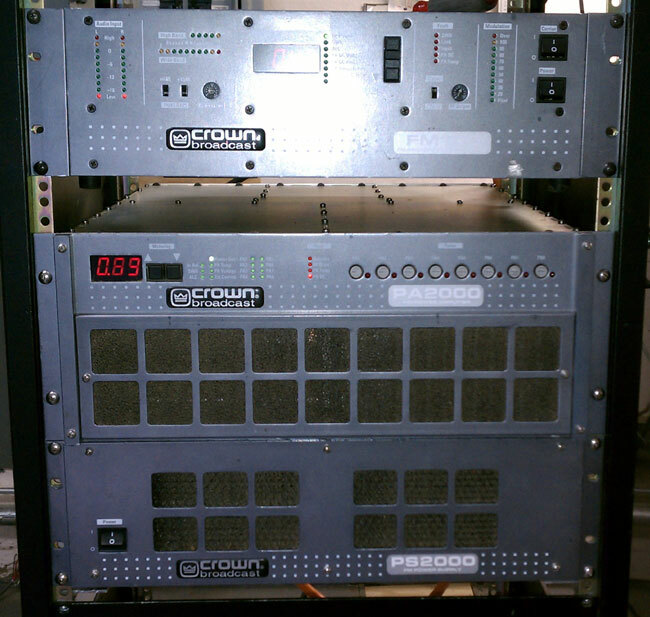 First, it takes up much more rack space than the comparably powered Nautel VS2.5. Second, because the unit does not come with slide out rack rails, each part needs to be removed from the rack for servicing, which makes things a little difficult when working alone as the PS2000 weights quite a bit. 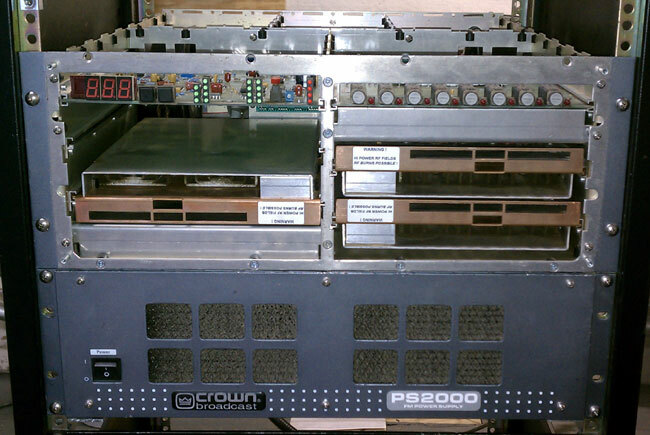 As far as the rest of the design, the PA2000 is very modular, all of the PA modules, controller card, fuse board and RF combiner easily come out of the chassis for service. This unit had been in service at WBEC in Pittsfield, MA for an undetermined amount of time. As such, there was quite a bit of dirt and bugs inside the PA chassis. I used a air blower to clean everything out. Checked the fans for bad bearings, checked all RF connections for signs of overheating, etc. I also cleaned out the power supply and rinsed all of the air filters. My other minor complaint is the power adjust pot is under the front cover. When making adjustments and such, the LED display indicates operating constants based on a little LED light next to the display. The legend is on the cover, which has been removed to adjust the power. Minor thing, but slightly annoying, none the less. 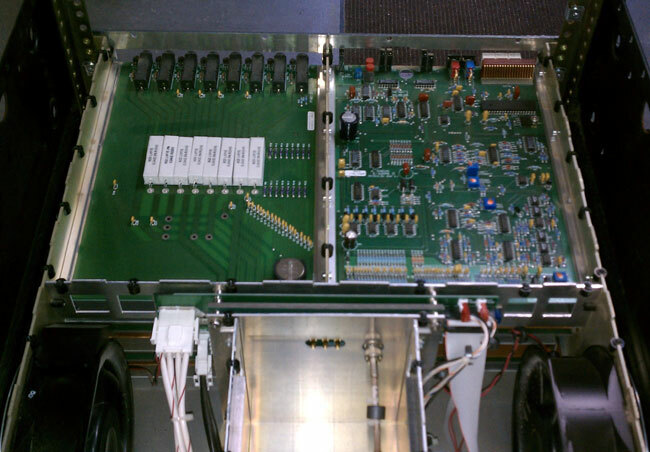 There are four RF modules in the PA2000, each one generating 500 watts. This particular transmitter has a bad device in PA3. When the transmitter is running the DC fault LED flashes and the PA3 reading shows no current. The device is a BLF278, which is a fairly common, inexpensive RF MOSFET. According to the factory tech, they can be replaced in the field provided one can solder. After replacement, there is no special tune up or anything needed as the module is wide band. 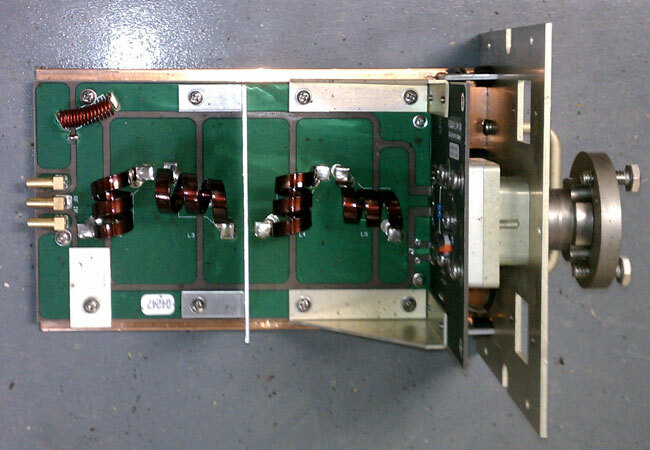 The four modules are combined then sent to the RF output filter which has the low pass harmonic filter and directional coupler. 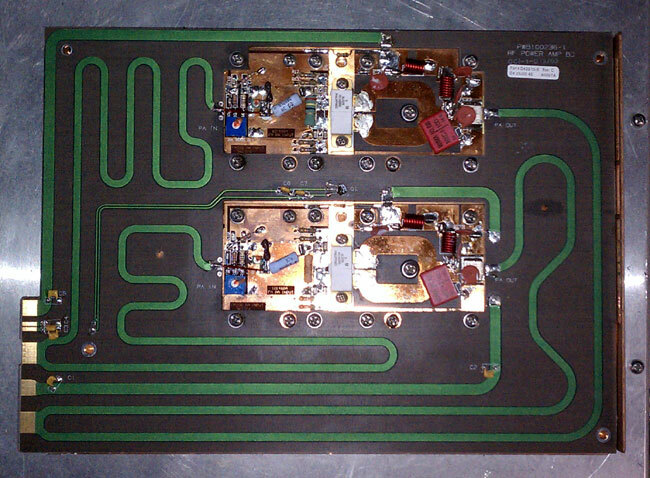 It is a pretty simple transmitter, no bells or whistles or fancy things like IP connectivity. Overall, it seems to be well made, robust, modular, efficient. The remote control interface is via DB-25 connector on the back of the PA2000. I did not get a chance to hear it on the air, I was just cleaning and testing the RF sections. The exciter is an FM100 transmitter, which I had to change frequencies on. I found that to be self explanatory. It would be fun to compare this to some of the other broadbanded FM amplifiers like PTEK and Armstrong.